Google+ is a new social networking website from Google and it’s has grown to 20+ millions users in a very short time. Google+ users gets notification of their friends social activities instantly as long as they are on web and browsing any one of the Google owned sites. Thanks to the Black Navigation bar introduced by Google across on all it sites. The navigation bar displays Google+ notifications in the top right corner. 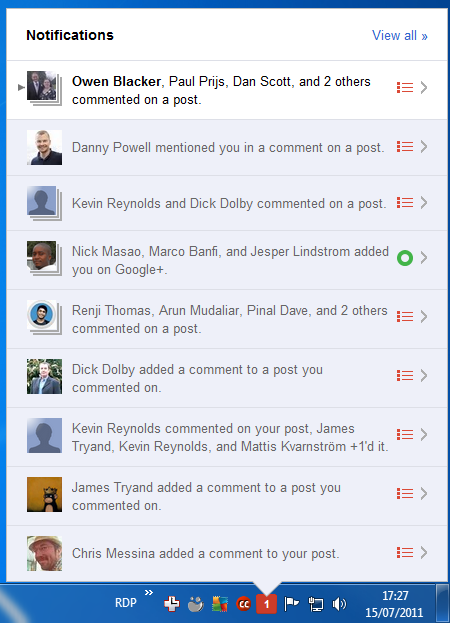 What about getting Google+ notifications when you are not browsing or not on any one of the Google owned websites? So if you are a Google+ fan and want to get notifications right inside your Windows notification area try this free application.